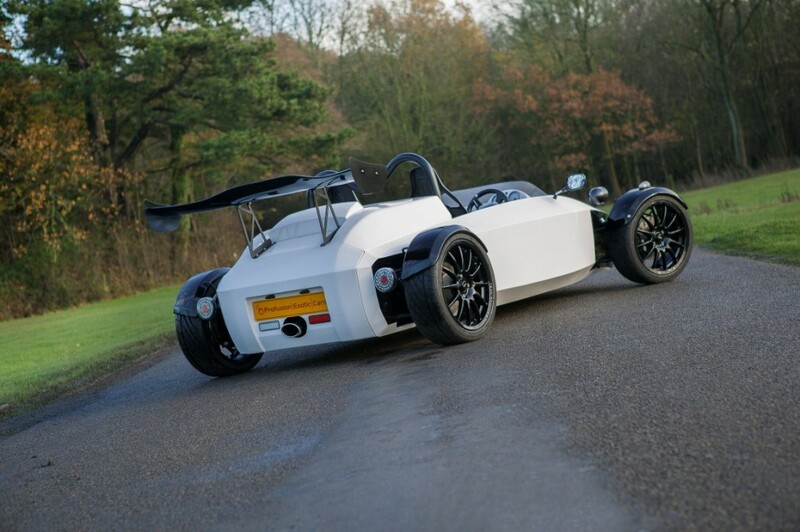 Profusion Exotic Cars - British hand made car builder has started taking pre-orders for its open wheel single seater sports car, Profusion Typhoon in India. The single seater Profusion Typhoon will be powered by a 2.0L 145 bhp gasoline engine. The company has tried to reduce the weight of the car to as less as possible and by various measures, the carmaker has been able to reduce the weight to 630 Kgs thereby making its power to weight ratio of 230 bhp. The car would cover 0-96 Kmph speed in just 4.3 seconds. Though this is no close to performance of Atom but surely it is huge enough to make your adrenaline rush coming. According to Mr. Chris Christoforou, MD of Profusion Exotic Cars, all efforts are on to make the Typhoon road legal. It is important for Typhoon to be road legal because its fellow competitor Aerial Atom has that advantage. As with most hand-built cars, there are plenty of customisation options. Owners can choose the seat colour, brake caliper colour, brake disc pattern, rear wing colour, wheel arch shape and different steering options. You also get push button start & a colour matched helmet. The car is priced at £29,000 pounds (INR 23.5 lakhs) but unfortunately by the time it will be shipped to India it would cost you more than INR 55 Lac, thanks to our excise duty structure. Profusion Exotic Cars India Private Ltd. is the Indian subsidiary of Profusion (UK), setup in Bangalore, Karnataka. More information on their Indian website.